Katie Fitzpatrick comes off the bench and finishes with 11 points, 10 rebounds and 13 steals as MGA tops Biddeford, 57-34. 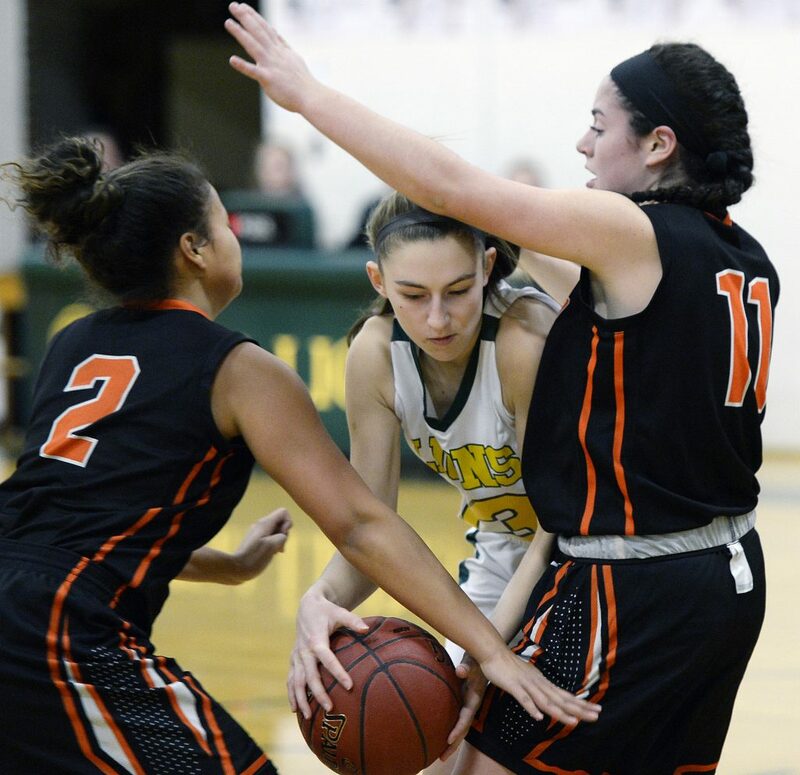 Katie Fitzpatrick had a rare kind of triple-double to lead the Maine Girls’ Academy to a 57-34 win against Biddeford in an SMAA girls’ basketball game Tuesday night. 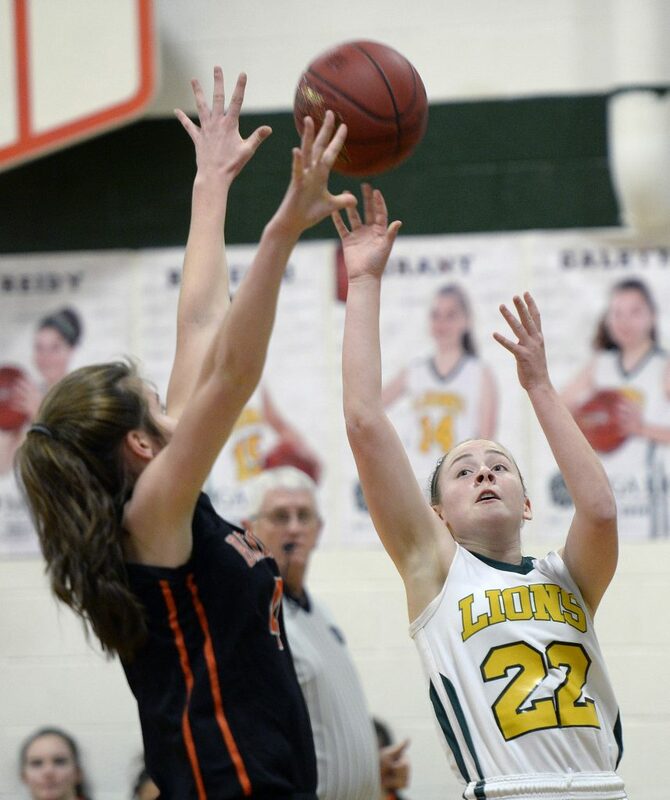 Fitzpatrick, a 5-foot-8 sophomore guard/forward who transferred from Greely High School, scored a team-high 11 points, grabbed a team-high 10 rebounds and had 13 steals to propel the unbeaten Lions past the Tigers (2-4). Jill Joyce and Serena Mower each scored 10 points to help MGA notch its fifth win. Biddeford’s Grace Martin led all scorers with 17 points. 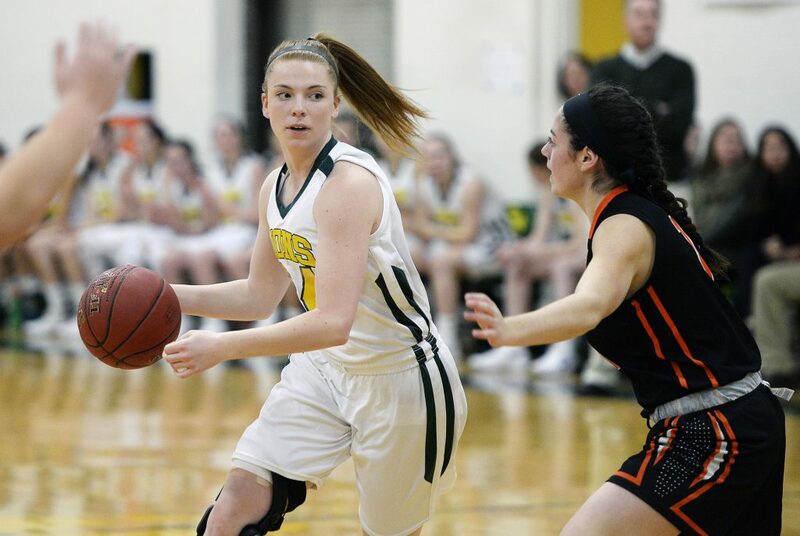 The game also marked the return of Emily Weisser, a 5-9 senior forward who missed all but one game during the past two seasons after tearing the anterior cruciate ligament in her right knee twice. She entered the game as a substitute late in the first quarter. 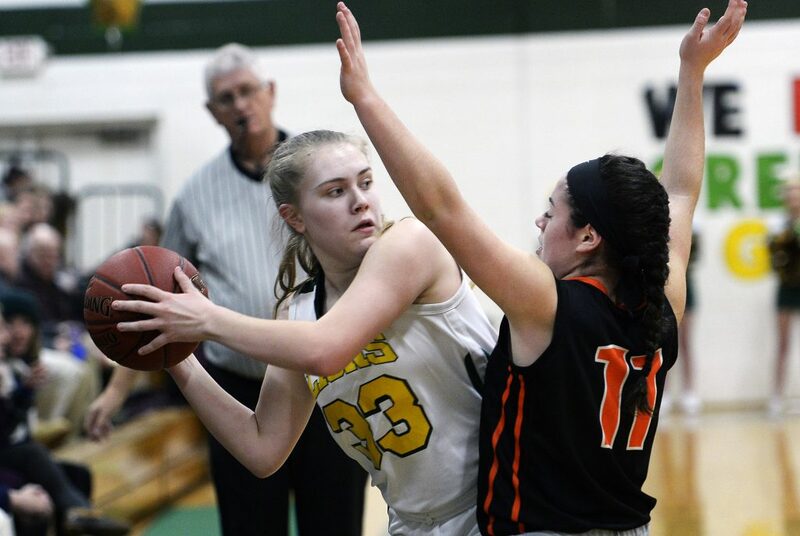 MGA Coach Bill Goodman said Weisser, who hit a 3-point shot late in the first for her only points, made major contributions in the lopsided win. Defense provided the key to the Lions’ success against the Tigers. 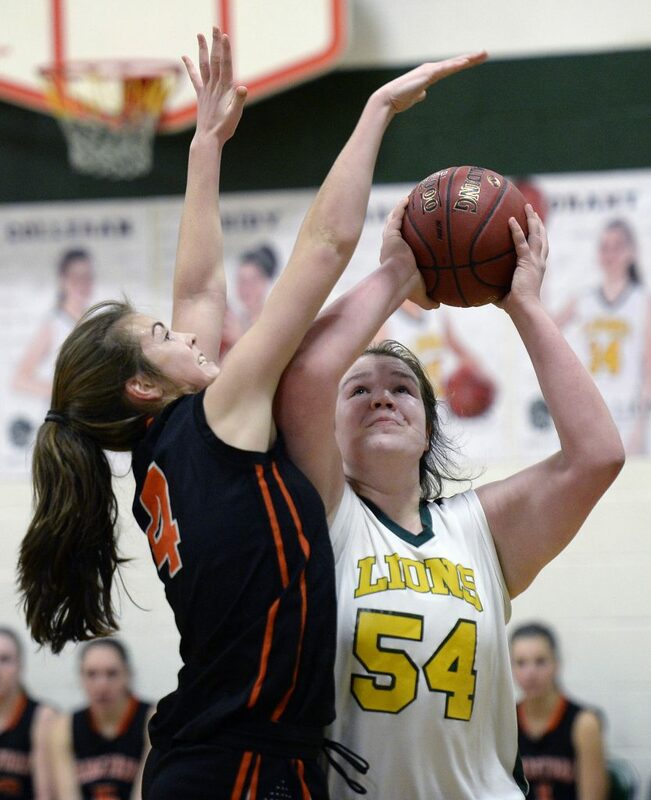 The Lions used a full-court press to force Biddeford into 29 turnovers. The Lions put together a 10-0 run over a span of three minutes during the first quarter to move into a 13-7 lead less than seven minutes into the game. MGA finished the first half with a 12-2 run to move into a 30-15 lead. It connected on 7 of 14 shots during the second quarter. The Lions, who limited the Tigers to a total of 10 points during the second and third quarters, opened the second half with an 11-2 run to take a 41-17 lead. Fitzpatrick recorded an unusual triple-double after entering the game in the first half as a sub.